Meet Helen Hou-Sandi, Director of User Interface Engineering at 10up. She’s giving back to the WordPress community as a WordCamp speaker and as a guest committer to WordPress Core for the 3.6 development cycle, and as the lead for the WordPress post formats UI among other volunteer work. On top of all that, she authors plugins, too. How did you start working with WordPress? The next year, I started working at the school (a music conservatory) as a web developer. Eventually I was tasked with a blog project for Polyphonic.org, immediately thought “WordPress!” and set to work learning about making a theme and choosing plugins for functionality. When I think about the things I did now, I cringe a little, but everything starts somewhere, and there were definitely some things that weren’t easy, like vBulletin integration. I had started to keep an eye on the development of WordPress so I’d know what would happen with an upgrade, and the introduction of custom post types got me thinking it could be a cool thing to use for the site at large instead of maintaining their basic custom CMS. We never did get there for Polyphonic, but custom post types, along with the multisite merge functionality of WordPress 3.0 got me seriously thinking about using it for the main school site, and the cost and ease-of-use won everybody else over. As always, there are plenty of things I’d do better now, but I learned an unbelievable amount about WordPress and the web in general and went to my very first WordCamp as a direct result — WCNYC 2010, specifically because it had a higher ed track. There I got to hear some crazy smart people give talks, like Boone and Nacin, and was really impressed by the sense of community. I was hooked. You’re active in the WordPress.org community. Tell us about how you contribute. What’s the best way for new folks to get involved? I contribute in a few ways — quite a bit of it is contributing to Core, whether via code, Trac gardening, or more project management style tasks. I also speak at WordCamps, have a few plugins, and drop in on the forums on occasion. I recently became a guest committer to Core for the 3.6 development cycle and am the feature lead for post formats UI, so I’m looking forward to continuing and deepening my involvement. I’m really fortunate to work for a company that recognizes the value of giving back to the community and donates a significant portion of my time to the project. For new folks, I’d start by looking at all the different ways there are to get involved. There’s Core code, of course, but every area is just as valuable: support, documentation, WordCamp and meetup organization, plugin and theme development, accessibility, education/outreach, and probably more that I’ve missed. There’s almost certainly an area or three where your skills would be useful and valuable. I would recommend that everyone spend some time helping out in the forums — what users are doing and thinking about is extremely revealing, and it’s good to get accustomed to all kinds of interactions, good and bad. I think the experience helps with everything else, especially when it comes to core code contributions. It’s easy to lose sight of what all these different kinds of users are doing with WordPress or are expecting it to do, especially if, like me, your job is doing client work that often doesn’t involve a blogging component at all. Tell us about a favorite project you’ve worked on? What about it did you love? What was the most important thing you learned from it? 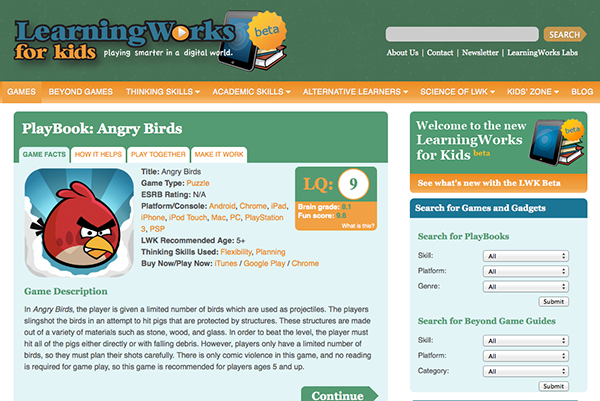 There’s a project that I’ve been on since I started with 10up in August 2011: LearningWorks for Kids. It’s a site that ties video games to learning skills and disabilities with articles and guides to various games and web applications. A lot of what I like about this project is its concept, but it’s also been a great challenge for me because it’s so feature-packed and has taken me into many areas of WordPress development. We just launched the final stages of a second phase of development, that revolves around a membership component. This means I’ve been working with memberships and payments, of course, but also bbPress for forums, Gravity Forms-powered assessments and quizzes, tons of user and custom post type integrations, and some pretty complex taxonomy queries for relating various content types in order to present recommendations to members. I think the thing this project has most shown me is how much can change in your coding and general work style over time because I’ve been on it consistently for so long — almost a year and a half! In particular, I’ve learned a lot about front-end development and general code maintainability by realizing what I shouldn’t have done as features have been added and further developed. I also learned a lot about task management and client communication. As frustrating as it is to glare at my past self over what I thought was a good idea at the time or very un-DRY code, I like having reminders about how much I have managed to learn as encouragement to keep going. To learn more about Helen, follow her on Twitter and visit her website.